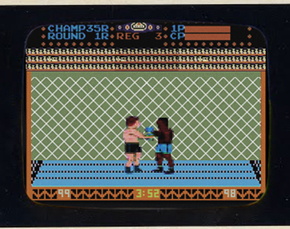 Video Game from 1983 Predicts the UFC? We’ve all seen Doc Brown and Marty McFly’s adventures in the movie ‘Back to the Future’. We’ve all heard of Nostradamus, Edgar Cayce, and the strange case of internet sensation John Titor… We know how Sandy Hook was pointed out ahead of time on a map in the movie ‘Batman: the Dark Knight Rises’, and how the BBC reported the collapse of World Trade Center Building 7 on September 11 twenty minutes before it even fell. But can people really know the future?? When does coincidence become more than just coincidence? When do such correlations become worthy of considering possibilities beyond the norm? – At what point does it get downright spooky? Well, that’s just what I found myself pondering when I followed a tip about an 8-bit video game created all the way back in 1982 for the IMAGIC home gaming console, which is absolutely littered with eerie similarities to today’s Ultimate Fighting Championship brand. 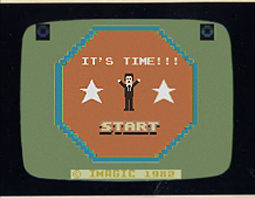 The game was titled ‘YOU FIGHT CHARLIE’, and although I couldn’t actually get our hands on an original copy of the game to play, (or even an obscure Imagic system to play it on for that matter…), I did manage to discover some screen shot images from an old Mattel/Intellivision catalogue (please forgive the low-quality images). Now remember, the UFC did not officially exist until 1993; This game was programmed 11 YEARS prior. That’s over 12 years before any RINGS or Pancrase competitions in Japan, and six years prior to the groundbreaking movie ‘Bloodsport’. 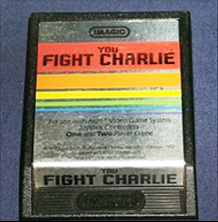 Obviously a horrible blunder of translation, we never could quite figure out whether the name ‘Charlie’ is the hero of the game, or the end boss character you ultimately aspire to fight. Nevertheless, the acronym for ‘You Fight Charlie’ is : YFC. But, if we interpret the first word of the title phonetically, it comes out as: ‘YouFC’ : (UFC). The concept for the Octagon, according to MMA lore, was conceived by Rorion Gracie and Art Davies for UFC 1. But this game clearly has an octagon shape into its design! Could Gracie/Davies have played the game? Or is this another proof of psychic abilities of the game developers? Before the movie Bloodsport (6 years after the game’s release), the concept of mixing different martial arts together in a single competition was almost unheard of. 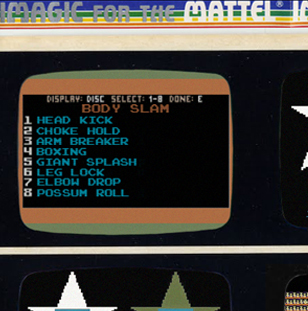 Grappling moves were even more obscure… Yet, the game includes ‘HEAD KICK’, ‘CHOKE HOLD’, ‘ARM BREAKER’, and ‘LEGLOCK’ to the variety of moves you can pick for your selected fighter (we were not sure what ‘Possom Roll’ is). – Could the designers have been so ahead of their time? Again, prior to UFC 1 there is little evidence of significant martial arts competition held in a cage. Yet it is clear to see in these screenshots that the very concept was envisioned. As stated, GDCMMA did not actually get to play the game (yet). 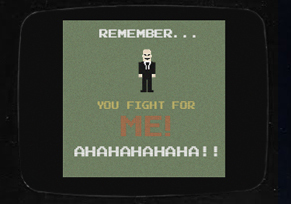 But apparently, the story is that the whole fighting competition is run by a power-hungry smiling bald man in a suit. Tank Abbott?? Kimbo Slice?? Chuck Liddell? Roy Nelson? 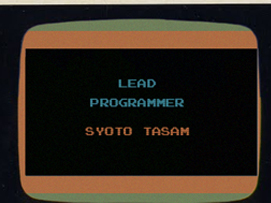 In an obvious credit screenshot, the game appears to be developed by someone named Syoto Tasam. Spelled backwards, this reads: Masato Toys. The fight commentators look bafflingly like Mike Goldberg and Joe Rogan. 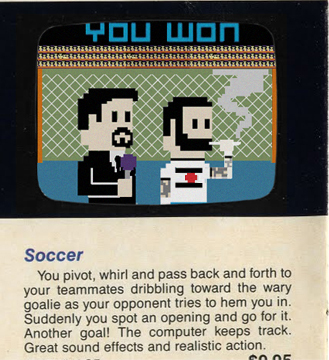 Amazingly, (especially considering the game was made in 1982), the Joe Rogan look-a-like character appears to be smoking a gigantic spliff. – Oh, and while you’re at it, we’d also love to see Santa Claus, the Easter Bunny, or Bob Sapp’s 20-Fight UFC contract. And we also have some lucrative shares in Strikeforce to sell you.